I had my hair cut last week …. not really a noteworthy event except that, as I booked the next appointment, my hairdresser & I were struck by how close it is to Christmas. I know that it is mid November, but some how I hadn’t transferred that thought to the reality that Christmas is less than six weeks away …. and it is time to start decorating the shop. One of my favourite decorations is the folded star that I hang on the front door. 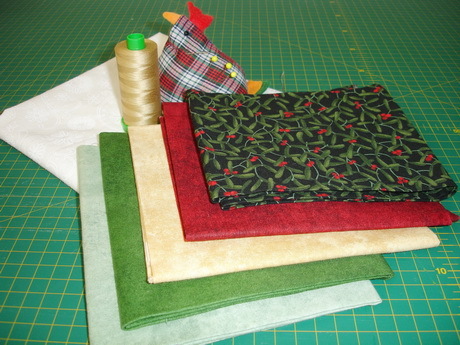 This is an easy, almost “no sew”, project that can be put together in an evening. They make great Christmas decorations or, with a little more time taken to securely stitch the points into position, they can be used as a place mat or trivet. I made mine many years ago from a pattern in a magazine, so I had to do a google search to find some patterns online for you. 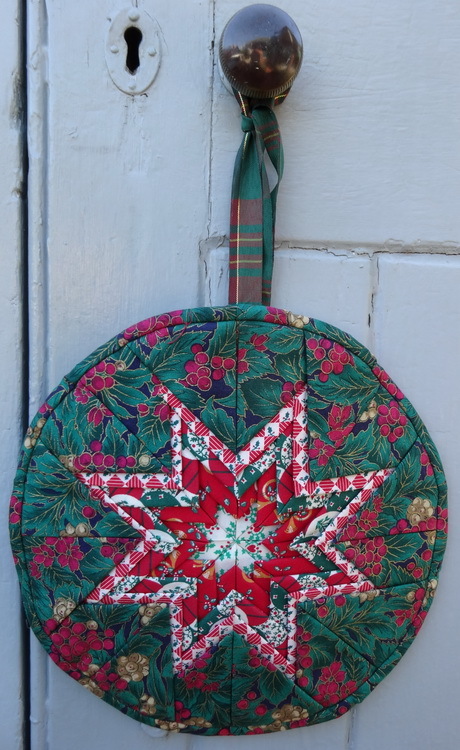 Check out the instruction that I have found, grab a needle & thread, some fat quarters, backing fabric, batting & a foundation fabric and get started on making your own version of a folded star for Christmas. Also check out these instructions, with step by step photos, written by Lisa & Sarah of A spoonful of Sugar Designs. This pattern is a little different to the one on the Santa Clara Valley Quilt Association website as the prairie points are made from circles, which may make the positioning of the fabrics easier. The pattern that I used “way back when” had a combination of circles & squares to make the prairie points. Each instruction has achieved the folded star in a slightly different manner, so choose the method that appeals to you. In all case, remember that the best effect is achieved by having a good contrast, in each round of points, to show up the design.